This week has been amazing weather-wise. I got a whole line of washing dry today and it's not even lunchtime yet! So the pumps and a jacket came out of the wardrobe for the first time. With a scarf obviously. Love this navy jersey jacket that I got last summer in Next. I find jackets quite restrictive to wear but as this is jersey, it's so comfy and I find myself wearing it around the house all day. Now I'll admit that I had my ankle boots on by mid afternoon as my feet get very cold but it was just lovely to have the ankles on show and to know that summer is only weeks away. It did prompt a bit of a pump/slipper shoe buying fest which I'll share with you next post. I've found some gorgeous glittery ones...can't wait to get some photos later. Hope you're having a lovely Saturday. 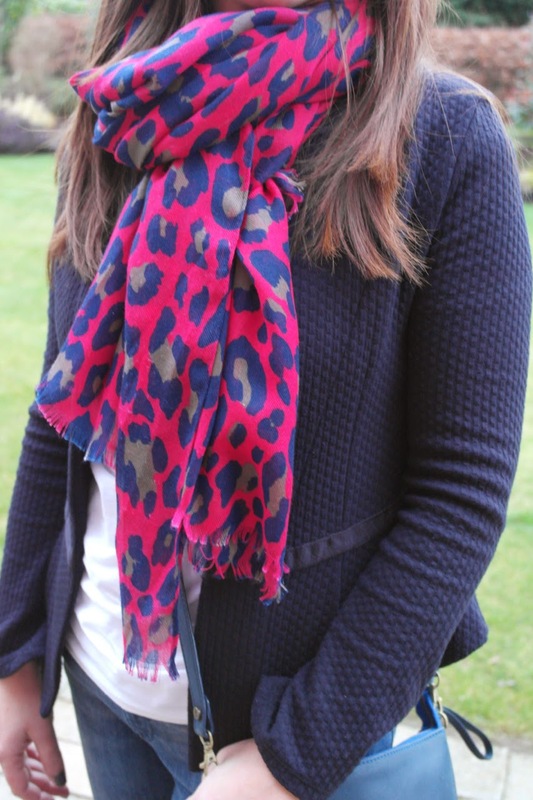 PS Linking up with Mummy's Got Style's Fashion Friday (a day late..story of my life!). And there's a dress giveaway over on Vicki's blog too! This is such a pretty outfit, love the cross body bag and the scarf is amazing! Love this look, it's so lovely to be in pumps at last. And I really want that cross body bag, it would go with so much! Love that jacket, wish I'd bought one at the time. I've had the ankles out a few times this week, it feels good!! Great outfit, love the style of your jacket. Gorgeous scarf, that colour is amazing on you. Lovely lovely spring outfit. I have a different style of that jacket from last year and the waffle jersey is just so easy to wear, isn't it! And I remember it was SO cheap. I think mine's darker than yours, could almost be black. am LOVING this weather! I am happy right now with the weather - I've had 3 different ballet pumps on this week - WHOOP! 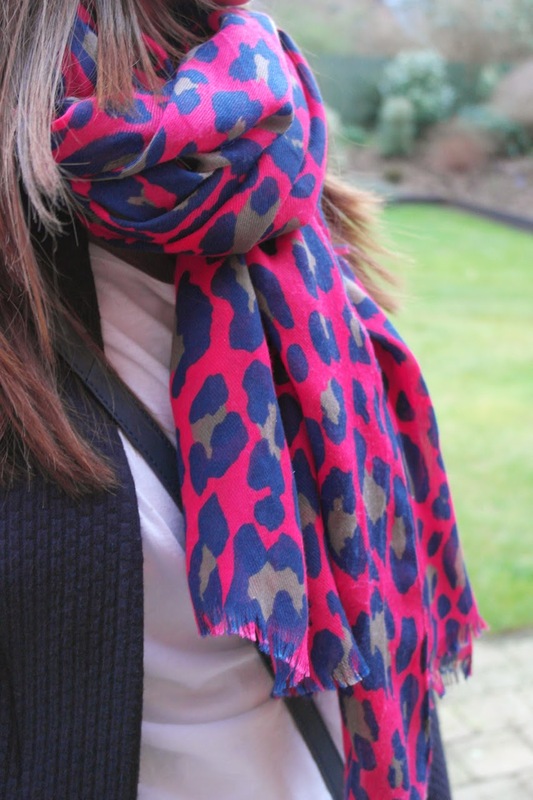 I love that scarf so much - so pleased I grabbed one!